There are a few more days left till the end of this year. All of LST staff would like to express our gratitude for that we were given so many opportunities to support our clients’ wedding in 2015 again. In September, we tried our new challenge and were able to hold “LST OATSURAE-TEN” in Paris successfully. 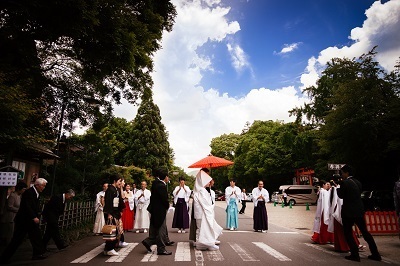 We could introduce Japanese wedding ceremony along with the wedding costume to foreign people. And it became a good opportunity that reminded us of the wonderfulness of the wedding. We would like to try our best next year as well, by improving our planning skill so that we can make our client couples and their wedding guests happy. LST Wedding will open from January 3rd in 2016.